Dinner at Berkeley’s famed Chez Panisse shows up on a lot of foodie’s bucket lists. Its founder, Alice Waters, has been promoting the importance of eating organically and locally for nearly half a century. With the Edible Schoolyard Project, she found a way to share these beliefs in true hands-on fashion, by involving thousands of children and teens in kitchens and gardens across the country. We will all benefit from this revolution, though I can't help but envy the kids at its epicenter. Back when Waters was pioneering California cuisine, I was suffering under my school lunchroom’s mandatory “courtesy bite” policy. The remembered aroma of Salisbury steak and instant mashed potatoes still activates my gag reflex. The University of California’s Edible Education 101 course has been continuing the Edible Schoolyard’s work at the collegiate level since 2011. It’s a glorious antidote to the culinary traumas experienced by earlier generations. UC Berkeley students can take Edible Education 101 for credit. The public is welcome to sit in on lectures featuring a pantheon of sustainable food superstars, including Waters, author Michael Pollan of The Omnivore’s Dilemma, above, and course leader Mark Bittman (you know him from The New York Times and his new startup The Purple Carrot). Fortunately for those of us whose bucket list splurge at Chez Panisse requires such additional expenses as plane tickets and hotel rooms, many of the lectures are also viewable online. The range of topics make clear that edible education is not simply a matter of learning to choose a locally grown portobello over a Big Mac. Transportation, technology, marketing, and pubic policy all factor into the goal of making healthy, equitably farmed food available to all at an a non-Chez Panisse price. 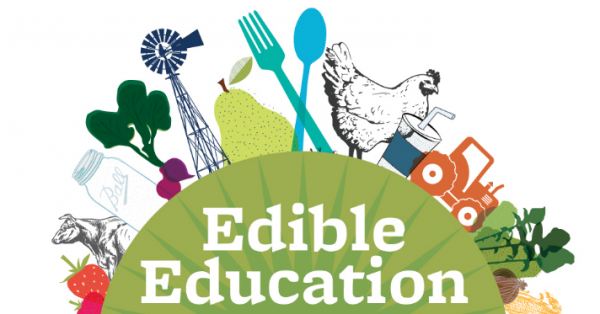 A complete playlist of 2015’s Edible Education 101 lectures is here, or stream them right above. A list of 2016’s topics and guest lecturers is here. The Edible Education lectures will be added to our collection, 1,300 Free Online Courses from Top Universities. Reading David Byrne's How Music Works the other day, I came across a passage where the Talking Heads frontman recalls his formative early exposure to the distinctive compositions and persona (not that you can really separate the two) of Sun Ra. "When I first moved to New York, I caught Sun Ra and his Arkestra at the 5 Spot, a jazz venue that used to be at St. Mark’s Place and Bowery," Byrne writes. "He moved from instrument to instrument. At one point there was a bizarre solo on a Moog synthesizer, an instrument not often associated with jazz. Here was electronic noise suddenly reimagined as entertainment!" Some might have written off Sun Ra and his Arkestra as indulging in formless artistic flailing, but in these shows, "as if to prove to skeptics that he and the band really could play, that they really had chops no matter how far out they sometimes got, they would occasionally do a traditional big band tune. Then it would be back to outer space." As in Sun Ra's music, so in Sun Ra's words: as the jazz composer born Herman Poole Blount got increasingly experimental in his composition, the details of his "cosmic philosophy" underlying it, a kind of science-fiction-inflected Afro-mysticism, multiplied. While many of Sun Ra's pronouncements struck (and still strike) listeners as a bit odd, he could nevertheless ground them in a variety of intellectual contexts as a serious thinker. We offered evidence of this last year when we posted the full lecture and reading list from the course he taught at UC Berkeley in 1971, "The Black Man in the Cosmos." Now you can hear it straight from the man himself in the playlist at the top of the post, which contains his lecture "The Power of Words," also delivered at Berkeley in 1971, as part of the school's Pan-African Studies curriculum. But do heed the warning included with the videos: "Remember, Sun Ra was a 'UNIVERSAL BEING' not of this dimension or of a race category. With all his informative authority, in some cases during these lectures, the content will be shocking to hear." 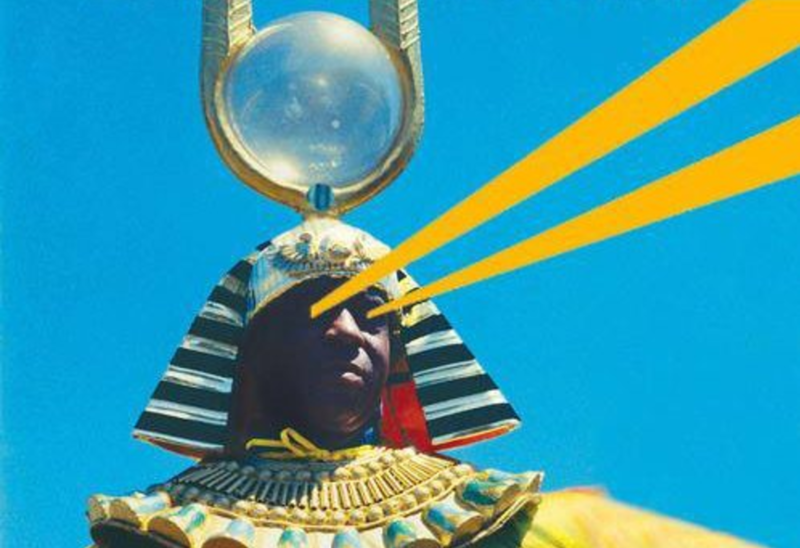 Shocked or not, you may well come away from the experience convinced that not only did Sun Ra the musician understand the power of music, executed creatively, to take us to new aesthetic realms, he also understood the power of words to take us to new intellectual ones. But you've got to be willing to take the ride into outer space with him. F. Scott Fitzgerald was right. The rich really are different from you or me. They're more likely to behave unethically. That's the finding of a group of studies by researchers at the University of California, Berkeley. The research shows that people of higher socioeconomic status are more likely to break traffic laws, lie in negotiations, take valued goods from others, and cheat to increase chances of winning a prize. The resulting paper, "Higher Social Class Predicts Increased Unethical Behavior," [PDF] was published last year in the Proceedings of the National Academy of Sciences. Perhaps most surprising, as this story by PBS NewsHour economics reporter Paul Solman shows, is that the tendency for unethical behavior appears not only in people who are actually rich, but in those who are manipulated into feeling that they are rich. As UC Berkeley social psychologist Paul Piff says, the results are statistical in nature but the trend is clear. "While having money doesn't necessarily make anybody anything," Piff told New York magazine, "the rich are way more likely to exhibit characteristics that we would stereotypically associate with, say, assholes." When seized with the desire to learn where their food comes from, many of today's readers turn to Michael Pollan, author of books like The Omnivore's Dilemma, In Defense of Food, and Food Rules. Perhaps you know him as the guy who popularized the guiding words, "Eat food. Not too much. Mostly plants." If you've studied at the University of California, Berkeley, you might also know him as a professor at their Graduate School of Journalism. Possessed of both a journalist's curiosity about sources and processes and a professor's ability to explain — not to mention based in the same consciously hedonistic city that gave rise to Alice Waters' Chez Panisse — Pollan has positioned himself well to remain America's foremost public intellectual of the edible. Who else would UC Berkeley want to lead their Edible Education courses? Above you'll find Pollan's opening session for the latest Edible Education lecture series, "Telling Stories About Food and Agriculture." Open to members of the public as well as Berkeley students, the course examines the real and potential effects of the way we eat food and how that food gets to us in the first place. Other lecturers include theatre director Peter Sellars, radio producers the Kitchen Sisters, and "rock star of social justice writing" Raj Patel. Having "passed" the class, look into our archives and you'll find the ideal follow-up for next semester: Harvard University's Science and Cooking: From Haute Cuisine to the Science of Soft Matter, also free online. Never before has a practical education on our everyday food been so easily accessible — or as lively. Both courses mentioned above appear in our collection, 1,300 Free Online Courses from Top Universities.